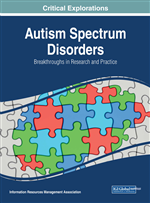 In this chapter, the transition from pre-school to kindergarten for children who need assistance with developmental/physical disabilities or chronic illnesses (children with “special health needs”) will be discussed. Services available during this transition are often inadequate to facilitate a successful school entry among children with special health needs. Administrative challenges involving multiple services agencies and differences in philosophy of pre-school and kindergarten service providers reduce the continuity of services during transition. While there are numerous strategies in place to facilitate the transition process, parents have reported many barriers to a smooth transition. These include lack of communication with staff at school, lack of preparation of education professionals, late and inadequate levels of service provision. Several service recommendations have been proposed to address these barriers, whose effectiveness remains largely understudied. Additional studies are needed to examine the role of diverse strategies in achieving successful transition. Facilitating successful transition to school for all children is crucial for establishing the foundation of children's future development, and may be of particular importance for children with special health needs. Positive transition is associated with favourable academic and social outcomes, just as negative experiences during entry to school can have immediate and long-term detrimental effects on the academic outcomes and social progress of a child (Berlin, Dunning, & Dodge, 2011; Dockett & Perry, 2004). Low-achievement academic and dysfunctional social trajectories are more difficult to alter by mid-elementary school years, highlighting the importance of supporting successful transition to kindergarten (Wildenger & McIntyre, 2012). When these difficulties are compounded by an underlying chronic health or developmental problem, setting the child’s path on an optimal course by providing adequate educational experience can be complex and challenging. Transition to kindergarten can be particularly challenging for children with identified special health needs. In 2006, 4.2% of children in Canada between the ages of five to nine had one or more disabilities (Statistics Canada, 2008). Every year, approximately 3.7% of all children entering kindergarten in Canada have special needs that prevent optimal development. Since these children have been identified as having health needs prior to school entry, their needs tend to be severe and require classroom level accommodation. During transition, these children and their families may experience change in the services they receive, as well as changes in providers, locations and frequency of these services (Daley, Munk, & Carlson, 2011). Research indicates that the services are often inadequate to support transition to school among children with special needs (Janus, Lefort, Cameron, & Kopechanski, 2007). Some of that evidence comes from investigating parents’ perceptions and satisfaction, which is crucial for evaluating early intervention programs and strategies. Since parents are usually children’s primary caregivers, their opinions should be given priority over the evaluations of early childhood educators and professionals (Jinnah & Walters, 2008; McNaughton, 1994). Parents have unique information to contribute and an important role to play in determining the effectiveness of the services provided in meeting their and their children’s needs. Parent satisfaction with care, ease of using services, concerns and preferences represent important quality and access-to-care indicators that are necessary to monitor and evaluate service provision (Kohler, 1999; Ngui & Flores, 2006). Developing a better understanding of parents’ perspectives in this manner can be used to improve existing services offered to children and their families. Evidence from the literature suggests that parents are considered to be expert informants in disability research (Law et al., 2003). Given the importance of parents’ feedback in developing and improving services, as well as the move towards family-centred service provision during early years, it is more important than ever to include parents’ experiences with service provision during transition to school when investigating transition to school for children with health care needs. There is consistent evidence that children with health needs of any age benefit from family-centered care, although it is not specifically focused on kindergarten/transition age (King et al., 2002). Research in the area of transition to school tends to focus on developmental and contextual processes leading to adjustment rarely considers the idiosyncrasy of health conditions. The education-based research frequently addresses specific learning, accommodation practices, and success of education strategies for children once they are in school, but rarely the course of events leading to them. Moreover, educational approaches tend to be categorical, that is, based on specific diagnosis or learning needs – and rightly so, as the strategies often need to be tailored to individual needs. There is, however, a paucity of research bringing together the developmental process, health and educational needs for children with health problems in the context of transition to school.